Kentro Group has swapped one prominent commercial corridor for another. The Denver real estate firm sold a property along Colfax Avenue last week and purchased one on Broadway on Monday. Kentro sold 5901 E. Colfax Ave. for $3.41 million, according to county records. Kentro completed the approximately 5,000-square-foot building on 0.55 acres this year, and it’s leased to Starbucks. 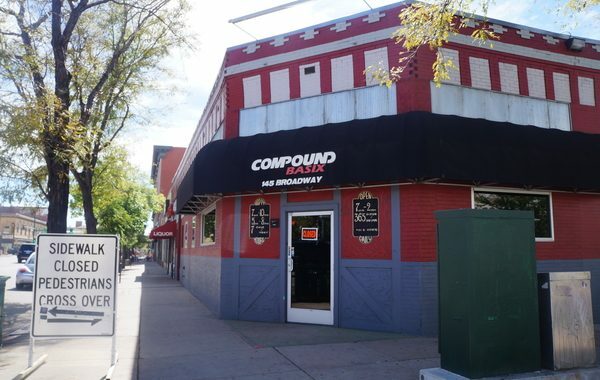 The property housed a shuttered bank branch when Kentro bought it in 2016, paying $1.33 million for the 5901 E. Colfax Ave. and adjacent 5999 E. Colfax Ave. parcels. Kentro still owns the latter. The property was purchased by Vouna Properties LLC, which was formed by a Harry Kourlis Ranch of Englewood, according to state records. On the other side of town, Kentro is the new owner of 141 N. Broadway, having paid $3.05 million for the 4,800-square-foot building on 0.32 acres. The building, at the corner of Broadway and 2nd Avenue, is home to a liquor store and gay bar Compound Basix, which recently closed. Kentro Managing Partner George Balafas said the seller, Second and Broadway LLC, is affiliated with the club’s owners, who wanted to retire. Records show Second and Broadway LLC bought the site for $725,000 in 2005. Balafas said the liquor store will remain in its space, and that Kentro plans to do extensive renovations to the club side of the building as it targets a restaurant tenant. Balafas said he’s talking to several possible tenants, but nothing has been finalized. It’s been a busy couple weeks for Kentro. On Sept. 18, Kentro also purchased the first of two Denver sites from the Colorado Department of Transportation. Balafas said the company wants to build between 140 and 160 townhomes at the 2000 S. Holly St. site, and now needs to go through the city’s site development approval process. Kentro also is under contract to purchase 4201 E. Arkansas Ave., a deal Balafas said likely will close early next year. The company agreed to pay $19.25 million for the two sites.